North India prepares to celebrate Baisakhi, the Harvest Festival on April 14th. The auspicious day marks the beginning of the solar year, and it is celebrated to thank Gods for the harvest. Celebrated mainly amongst the people of North India, particularly Punjab, this festival also marks the Sikh new year (Khalsa era.) People visit Gurudwaras, and celebrate the day with great enthusiasm and fervour. Huge processions and traditional performances take place that looks very beautiful. Baisakhi also holds a special significance for Sikhs as on this day in 1699, and their tenth Guru Gobind Singh caused the historical formation of Khalsa. Another important aspect of the celebration is fantastic food. The day sees a variety of special Punjabi dishes that are a treat to the taste buds. The Sikhs also hold special langars where they distribute free food to other people. Baisakhi 2019 Date, History And Significance: How The Harvest Festival Vaisakhi And Sikh New Year Is Celebrated In Punjab. Alsi also known as flax seeds make some amazing laddoos. This recipe includes other ingredients such as nuts, various seeds and jaggery. This is not great to taste to is also healthy if taken in moderation. How to make Alsi Pinni? Made out of whole wheat flour, semolina, fenugreek leaves and other Indian spices, Atta methi mathri is a great tea time snack that also has a shelf life. How to make Atta methi mathri? There is nothing like some smooth Kesari Phirni for dessert. Isn't it? This easy dish made out of Milk, rice, sucralose and saffron. Celebrate the day of harvest with Kesari Phirni. How to make Sugar-free Kesari Phirni? This popular traditional yoghurt-based drink is usually made during Baisakhi. One can make Lassi even without mangoes. However, mangoes do add great taste to Lassi. You can try this simple recipe using ingredients such as yoghurt, sugar, dry fruits and mango pulp at home. What is a festival without dry fruits? This simple kheer can be made using the dry fruits of your choice, for example, Cashew, Badam, Apricots, raisins and red currants. 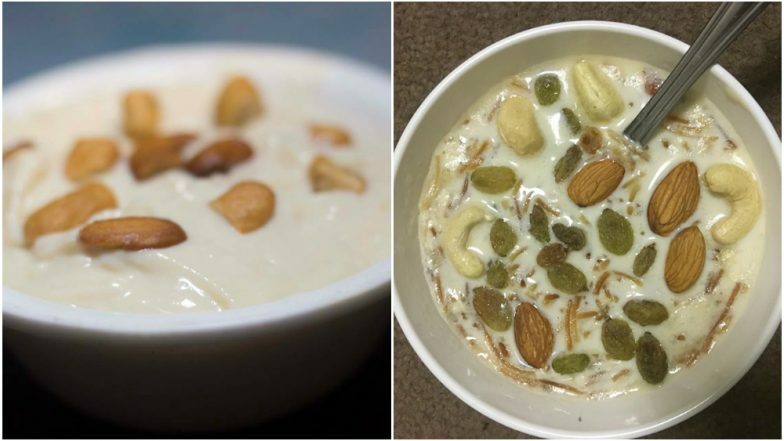 How to make Dry Fruit Kheer? On Vaisakhi, visiting the Gurdwaras decorated beautifully and resonated with the sound of kirtans is one of the most pleasant experiences you'll have.